Dorner’s 2200 Series Precision Move Pallet Systems are now available with new features including heavy load corners, tight turn corners, low-profile lift and locates, elevators and more. The new heavy load corner design allows the conveyor to carry pallet loads up to 70 pounds around 90° or 180° corners, effectively providing loop capacity for larger, heavier pallets. Additionally, pallets can be accumulated in the corner, an advantage not typically seen in most corner systems. Pallet widths have also been expanded to 640 x 640 mm to handle heavier loads. The new tight transfer 180° corner creates a loop with only 135mm between main run conveyors. This cost-effective option uses the Dorner Pin Tracking system, that eliminates the need for other transfer devices while maintaining pallet orientation through the loop. The new low-profile lift and locate is ideal for operator stations, as the feature lifts the pallet off the conveyor and locates it within +/- 0.015”. The compact and safe device protrudes beyond the main conveyor only 1”, saving valuable space for operators or other equipment. A versatile addition to the product line is the new Dorner Precision Move elevator, which uses dual-sided timing belt conveyor technology to effectively raise and lower pallets for over/under pallet applications. 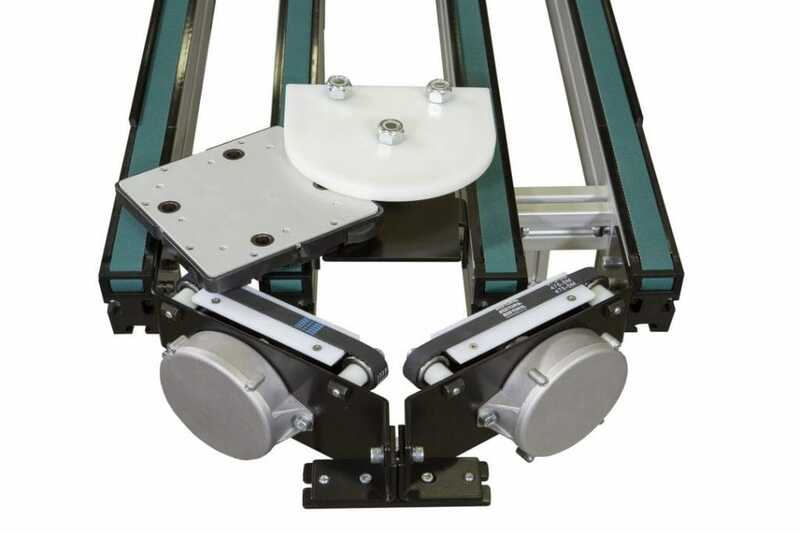 Dual sided support provides an improved method of transport for wider pallet applications. Elevators are capable of transport heights from 18” to 120” top of belt. 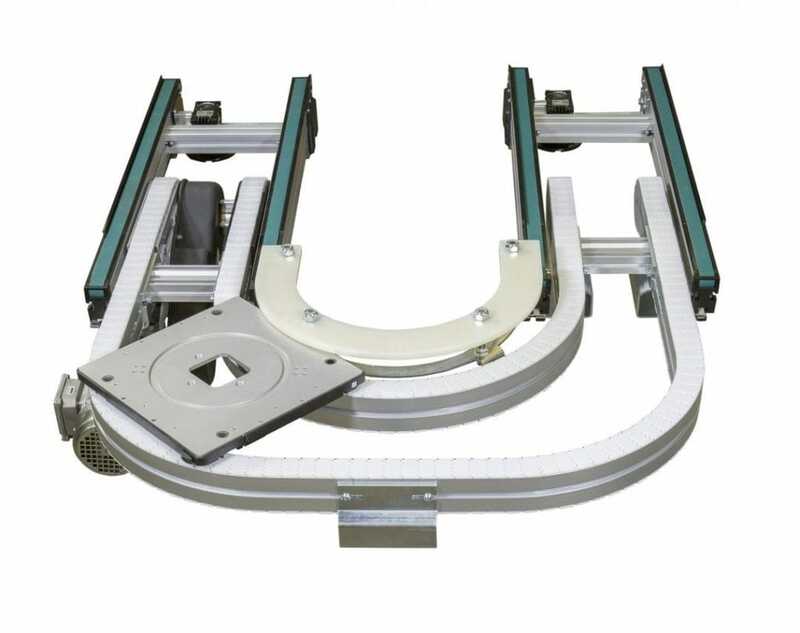 Designing a 2200 Series Precision Move Pallet System has never been easier with the addition to D-Tools, Dorner’s online conveyor configurator. Configure simple or complex systems in minutes, complete with 2D and 3D CAD drawings and other functions. 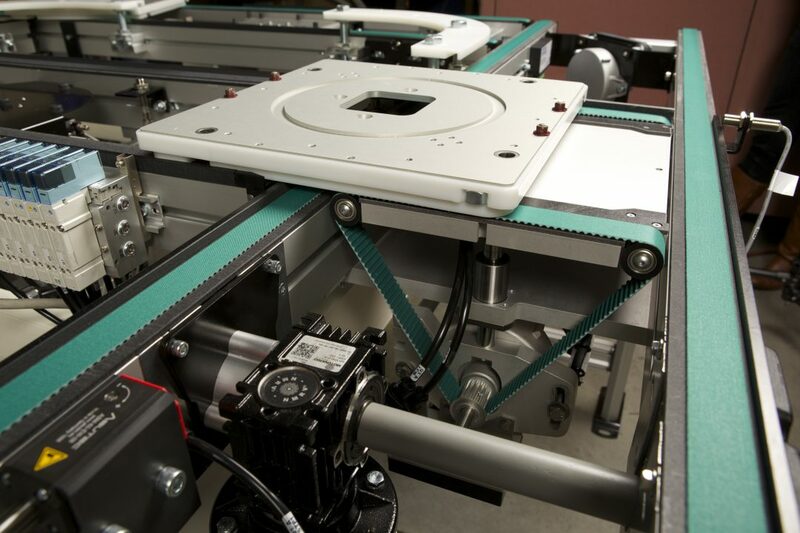 D-Tools gives customers the design tools needed to fully configure their belt conveyor systems. Learn more about Dorner’s Pallet Systems.